This video series is part of the PACE 2.0 initative. The stories and words of PACE participants and caregivers illustrate the need to expand PACE. 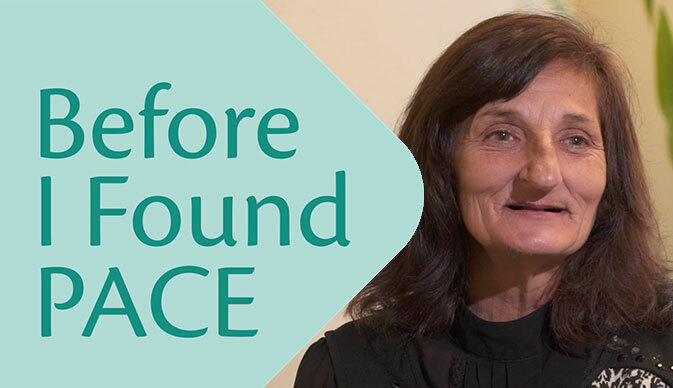 "Before I Found PACE" is a video series that is part of the PACE 2.0 initiative, which is supported by The John A. Hartford Foundation and West Health. The stories and words of PACE participants and caregivers illustrate the need to expand Programs of All-Inclusive Care for the Elderly (PACE®). The ninth video in the series features Alfonzer Brooks, a Detroit resident and veteran whose health issues threatened his independence. He enrolled in PACE Southeast Michigan, which provided the care and assistance he needed to do more for himself again. The eighth video in the series features Phyllis Benning, 66, of Chattanooga, TN, who was placed in a nursing home after a stroke. After enrolling in Alexian Brothers Community Services, a local PACE program, she was able to return home and work with the PACE interdisciplinary team to learn to walk again. The seventh video in the series tells the story of Bernadette Jensen, who was homeless for years before enrolling in St. Paul’s PACE in San Diego. St. Paul’s PACE is part of People Assisting the Homeless (PATH), a coalition of organizations that address homelessness in the city. Jenson receives health care and other services from the PACE program, which partnered with Father Joe’s Villages to provide her with housing. The sixth video features Charles Laughery, a San Diego resident who, along with his wife and three daughters, cares for his mother, Jean, who has dementia and requires 24-hour supervision. Jean is a participant at St. Paul's PACE, which provides caregiver support to her family. The fifth video features Cassandra Jefferson, who faced increasing challenges trying to maintain her job while providing care for her mother after she was diagnosed with multiple sclerosis. Her mother is now a participant at Alexian Brothers Community Services, which provides caregiver support to Jefferson. The fourth video in the series features Terri Ann and Leon Dirteater, of rural Tahlequah, OK, and the services they receive from Cherokee Elder Care, the only PACE organization sponsored by a Native American tribe. After having a stroke, Terri Ann enrolled in the PACE program to receive health and social services. Her husband receives support as her caregiver. The third video features Khaadija Shabazz, who has cared for her mother since she was diagnosed with dementia. She enrolled her mother in PACE Southeast Michigan, which provides assistance that allows Shabazz to keep her mother living independently in the community. The second video highlights the experience of Rita Bergman, of rural Tahlequah, OK, who has two relatives enrolled in Cherokee Elder Care, the only PACE organization sponsored by a Native American tribe. The PACE model of care addresses the needs of family caregivers to improve the quality of their lives. The first video in the series features Ronald Hanz, of Tahlequah, OK, who battled addiction and homelessness before enrolling at Cherokee Elder Care, the only PACE organization sponsored by a Native American tribe. From the Alzheimer's Association to the United Seniors Health Council, NPA offers a wealth of Helpful Links. Stay up to date on news and events by following NPA on Facebook, LinkedIn, Twitter and YouTube.